In case the title of this post didn’t give it away, we have some big news…The Salon Owners Collective Coaching team is growing! In addition to Sam, whose story you’ll get a glimpse of here, we’ve also welcomed Louise to the coaching team. 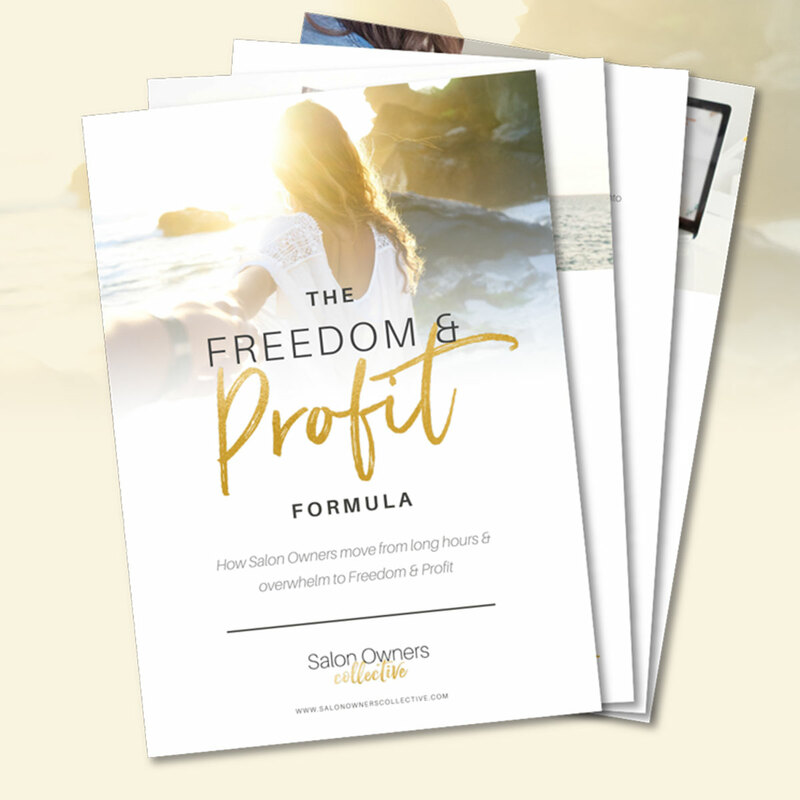 We are so thrilled to be able to bring their expertise to our community of ambitious salon owners and help you achieve your ultimate goals of Freedom & Profit. She may be a qualified and licensed hairdresser, nail tech, and beauty therapist, but Sam’s skills genuinely stretch far and wide. As a formally trained dancer, she spent many of her early career days in a highly disciplined practice that involved a lot of travel, and the need to take care of her own beauty needs on-the-go (which her fellow team members caught onto by asking her to do their nails as well). In her first career switch, Sam trained to become a flight attendant, a role that allowed her to learn the in’s and out’s of team management and crafting a top-notch client experience. Looking back, she says her experience as a flight attendant was one of the most pivotal in preparing her for her salon ownership journey, which began in her homeland of the U.K.
Sam’s U.K. business was her first successful salon, which she founded in 2009, but upon finding out she would be moving to Australia, she kicked her efforts into high gear so that in 18 months time she could sell it off and start her first salon in Australia. Come 2013, Sam (along with help from her handy hubby) got started fixing up her first salon where she worked solo, but always knew she would need to open another location down the line. 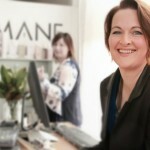 This was due to Sam’s high-end approach, which didn’t quite match the surrounding locale of her salon and the client experience she desired to provide, so in 2015 she moved on to open her second salon in a better suburb and shopping complex, where she transformed her previous turnover of 250K per year into 7-figures in a couple year’s time. 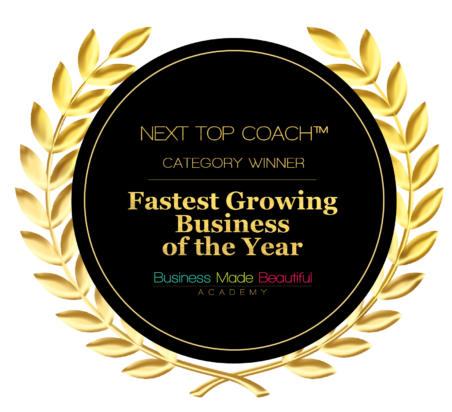 Eventually, Sam was bitten by the coaching bug after experiencing the transformative power a coach could bring to a business after working with Larissa to hone her salon’s systems. 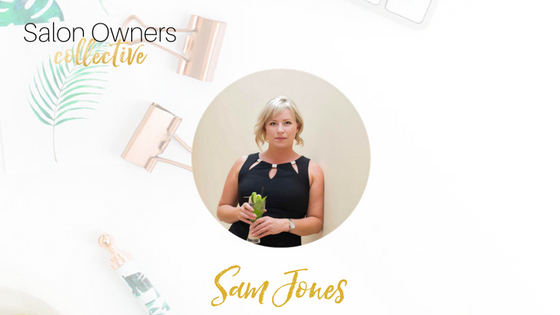 Flash forward to the beginning of 2018, and Sam has successfully sold off her second Australian salon and is now wholeheartedly focused on coaching. By the end of this year she’ll have her official coaching certification from the International Coaching Federation, and in the process of obtaining that certification is coaching salon owners on how to reach their goals for greater Freedom & Profit. In addition to her natural gift of intuition in being able to decipher where your salon is missing out on growth opportunities, Sam is also exceptionally gifted at being able to look at the big picture of your overall client experience, identify the gaps, and fill them in a way that enriches your salon’s entire approach to client satisfaction and retention. Is Sam Your Perfect Fit Coach? With her prior experience as a flight attendant in addition to her journey as a highly-successful salon owner, Sam is the ideal fit for salon owners needing help with refining all the pieces that go into a stellar client experience as well as those finding it tough to move to their next stage of growth. Maybe you have consistent clientele coming through your doors, but you have a tough time retaining them, or you know you’re leaving a lot on the table concerning how you can best utilize your team and your client experience to boost sales and revenue (without adding more tasks to your to-do list). If that sounds like you, it’s time to get Sam in your corner; she’ll help take you to new growth and beyond!